Two divisions of Virginia-bred, sired and certified two year old sprinters will square off in a pair of 5 1/2 furlong turf events Friday August 10th at Laurel. The races have been carded as the first and fifth, and each carries a $40,000 purse. Candy’s Delight, a John Salzman trained Kentucky-bred, is early 3/1 favorite in the first while the Mike Trombetta trained Tracy With a Y, bred in Maryland, is second pick at 7/2. The former spent her six month residency at Horseshoe Hill Farm in Ashland while the latter was based at Legacy Farm in Bluemont. 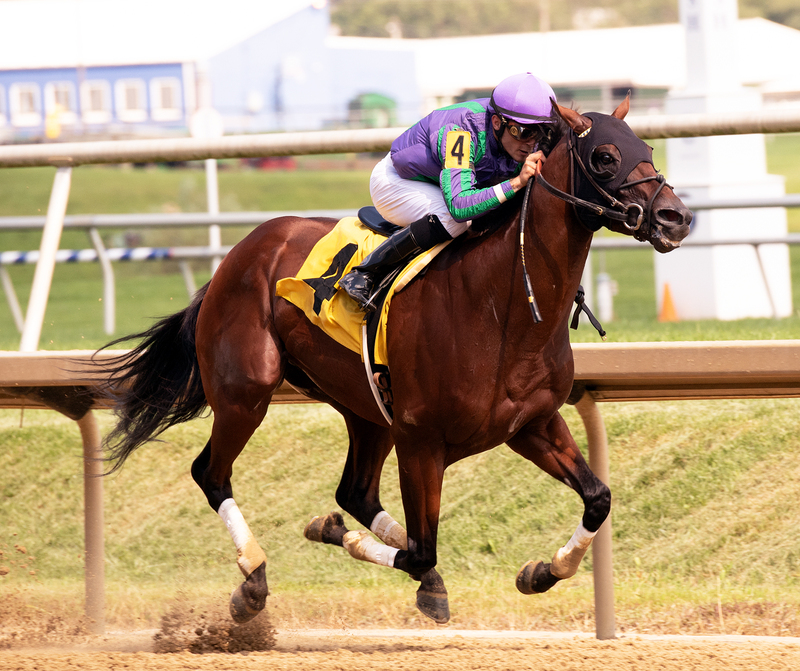 Virginia-bred River Gal, at 4-1, features the battery of trainer Phil Schoenthal and jockey Sheldon Russell, who connected with River Deep in Saturday’s Hansel Stakes. Stephanie Nixon’s Horseshoe Hill Farm is located in Ashland, Virginia. 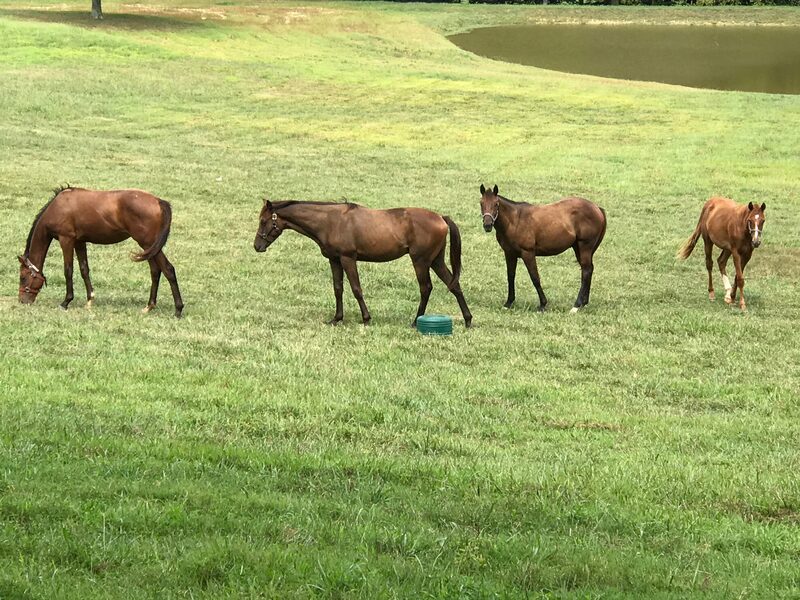 Others in the field include Virginia-breds Total Bien (Eric Rizer & Nancy Rizer), Ready to Run (Susan Cooney) and Drosselman (Quest Realty) along with Burnin Ring O Fire and Luna de Fuego. The former is a West Virginia-bred who gained his residency requirement at Eagle Point Farm in Ashland while the latter is a Maryland-bred filly who was based at Legacy Farm. A trio of fillies get top early billing in the second division. No Mo Lady, a Mike Trombetta trained Maryland-bred, is 5-2, while Kentucky-bred Beale Street, owned by Virginian Amy Moore, is 7-2. Virginia-bred Indigo Queen, bred by Lazy Lane Farms, is 4-1. 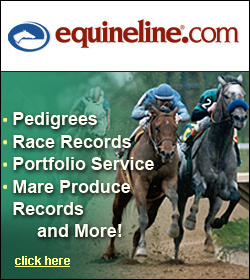 Other Virginia-breds in the field are Foot in the Door (Jim & Katie Fitzgerald) and Payneful (Quest Realty). Rounding out the slate is Admiral’s Row, a Maryland-bred who resided at Horseplay Hill Farm in Hamilton, and a pair of Kentucky-breds — Trimmed in Grey and Creative Time. The former is owned by Lady Olivia at Northcliff, where the filly also resided, and the latter will be ridden by Forest Boyce. Sheldon Russell guided River Deep to victory in the $75,000 Hansel Stakes August 4th. Photo by Jim McCue. Only two of the horses entered in either race has competed before. Candy’s Delight has a third and fourth place finish in two outs while Ready to Run took sixth in his only start. Post time for the respective events are 1:10 PM and 3:10 PM. Leaders in both the owners and trainers bonus category for the 2018 Virginia-bred/sired series in Maryland have horses entered. Susan Cooney, who sits atop the trainer bonus standings with 21 points, has three in — Payneful, Ready to Run and Drosselmoon. Phil Schoenthal, second with 19 points, has a pair in — Admiral’s Row and River Gal. On the owner’s side, Quest Realty, which is tied for the top spot with 11 points, has a pair in Friday. A combined $40,000 in bonus monies will be awarded after the series concludes September 22nd.